Princeton Record Exchange - So this week I see on the news that there was an outbreak of some new rare form of meningitis on the Princeton campus. If I would have known that, I wouldn't have stopped here. 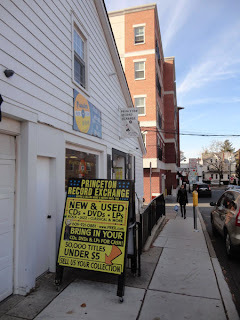 But I did and I bagged a few gems at The Princeton Record Exchange. Parking is not easy, there is a parking structure a block down on a one way street that charges by the hour, the meters outside the shop are for 30 minutes only. 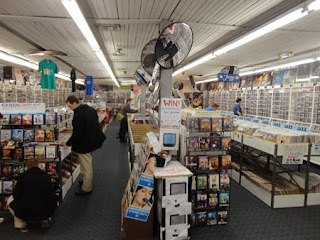 The store is well stocked with used vinyl, CD's, DVD and other stuff, all genres Prices were very reasonable on may items. Friendly and helpful staff. I spent about 2 hours in here but could have easily spent another hour. Points off for having industrial strength adhesive price tag stickers. Very hard to remove! 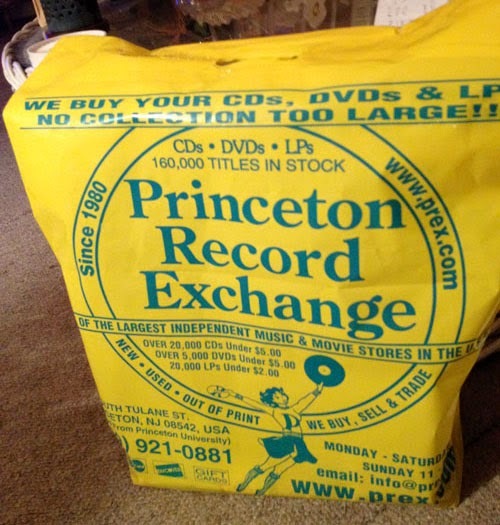 But this shop does win the "Best Record Store Bag" award. What a truly remarkable bag. Heavy duty with reinforced handles and bottom. Highly Recommended. 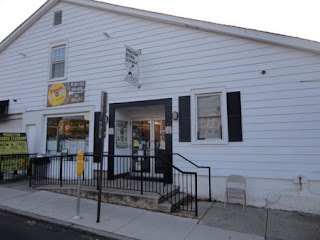 20 Tular St. Princeton, NJ. 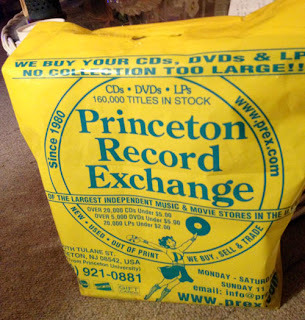 Does anybody know good (cheap and large) vinyl stores, which sells 50's-70's rock, country, blues and rockabilly records in New York, Memphis and by Route 66 (Chicago to Los Angeles)? I will trawel to USA in may 2014. Check the Los Angeles, Chicago, Memphis and Albuquerque posts. Also in St. Louis, MO there are 2 shops, Vintage Vinyl and Euclid Records.